Managerless Burnley ensured Jim Gannon made a losing start to his tenure at Port Vale with a comfortable 4-2 win in the FA Cup third round. Gannon took the reins at Vale Park on Thursday and Burnley - with Stuart Gray in caretaker charge - took the lead after only four minutes through Clarke Carlisle. Robert Taylor grabbed a shock equaliser for Vale soon after but Burnley duly restored their lead through a Tyrone Mears free-kick in the 21st minute. Chris Eagles capped a fine performance with an excellent finish to make it 3-1 to Burnley five minutes after the break and Graham Alexander made the game safe from the penalty spot. Taylor got his second with eight minutes remaining, but the shock comeback never materialised and Burnley eased into the fourth round. Burnley made a flying start to the match and took the lead with with a well-worked goal. Eagles was played down the right and his pinpoint cross found Carlisle completely unmarked to head home. Port Vale had barely threatened but they equalised with virtually their first attack in the 15th minute. Lewis Haldane floated a ball across the six-yard box and the Burnley defenders failed to deal with it, allowing Taylor to get the faintest of touches past the wrong-footed Lee Grant. The goal stunned the home crowd, but the Clarets fans were in full voice again six minutes later when Mears restored the home side's lead with a free-kick from 20 yards that crept past Stuart Tomlinson. Haldane scuffed a shot wide for Port Vale soon after but Burnley continued to look dangerous and Eagles found Chris Iwelumo with a chipped pass but the Scotland striker failed to direct his header on goal. Eagles was at the heart of all Burnley's attacks and he fed Mears on the overlap but his low cross was mis-hit by Iwelumo. 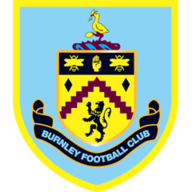 Burnley continued to dominate after the break and five minutes into the second half Jack Cork squared the ball to Eagles and he smashed a shot past Tomlinson for his eighth goal of the season. Moments later Tomlinson had to be alert to make a sprawling save from Jay Rodriquez's effort as the home side threatened to run riot. 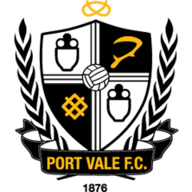 To their credit Port Vale were still pushing forward and they nearly reduced the arrears when Gary Roberts got clear and lifted the ball over Grant but it landed on the roof of the net. With 14 minutes gone, Burnley finished the visitors off when Lee Collins fouled Mears in the box and Alexander stepped up to score from 21st penalty from 22 attempts. The Port Vale fans had something to cheer about late on when Taylor pounced after Grant had parried Sean Rigg's shot but it was too little too late.